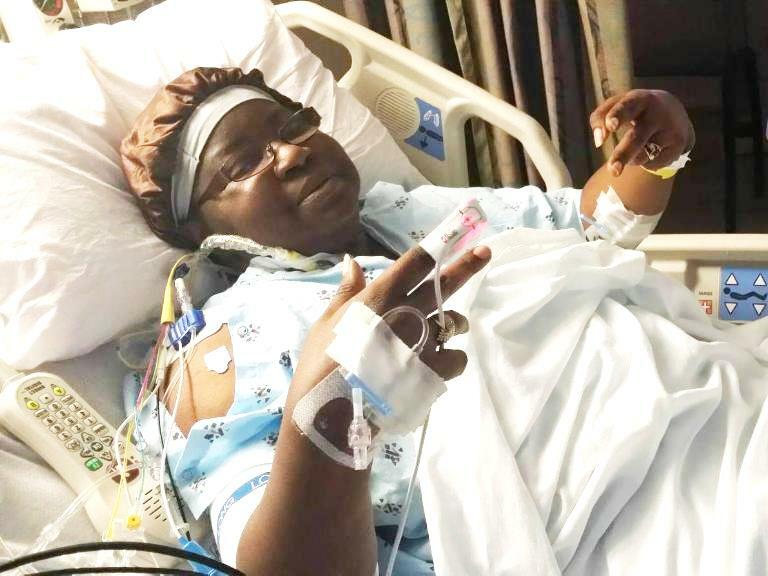 Donna B. Lampkin is a 49-year-old woman who is very ill. After years of struggling with Congestive Heart Failure, a heart transplant is her only hope for survival. Donna is one of the sweetest, kindest, and all around happy-go-lucky person you’d ever meet. She skillfully uses laughter as a means of coping with life’s challenges, but Donna needs help – transplants are lifesaving but the costs can be overwhelming. Donna grew up in New York and as a teen, moved to South Carolina with her Mother and siblings. She attended Berkeley County Schools and had to leave school early due to circumstances beyond her control, but she remained determined to contend for her education. In 1996 through hard work and perseverance she obtained a GED from the Adult Education Program. In 2007 Donna relocated to Williamston, NC. Throughout the years she worked as a professional Home Health Care Provider for various agencies, as well as voluntarily for close family members who were ill. This illness has forced Donna to take a leave of absence from a job she loved, providing loving home health care for patients who are in need. Even with insurance, Donna is facing very high expenses including relocation to be closer to the University of North Carolina Hospital, Chapel Hill, NC, post-transplant medications, co-pays, lab fees and more. To help with the financial burden of Donna’s uninsured expenses, a fundraising campaign in her honor has been established with HelpHOPELive, a trusted nonprofit organization that has been providing community-based fundraising guidance to patients and their families for more than 30 years. All donations are tax-deductible, are held by HelpHOPELive in the South-Atlantic Heart Transplant Fund, and are administered by HelpHOPELive for transplant-related expenses only. Please consider making a contribution by clicking Donate Now on this page. Thanks for your prayers, support, and generosity. You are definitely worthy of Gods blessing your kindness, generosity and loving spirit has touched us all. You have been more than a friend, you are my sister and my Inspiration. May God bless you with a long healthy happy life so you can continue to bring happiness and laughter to the world. With Jesus nothings impossible and I'm pairing my faith with yours for a speedy and easy recovery! May God bless you real good! I am going to donate this weekend and everyday till then and after I am praying and thanking God in advance for a healthy loving heart just as you are. We your friends love you sooo very much and are here for you. In Jesus name you are healed.